Happy Friday everyone and here we are with another amazing guest designer who has created a really fantastic mini project with lots of crackle texture. We welcome Nikki Killinger with us today so scroll on down to see what she has made. Hi everyone, Nikki K here. 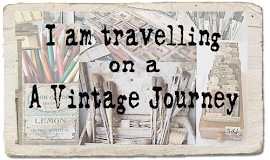 I am thrilled to be making my first visit here at A Vintage Journey. I love everything mixed media, and have been creating since my teens, working in clay, resin, and on to papercrafting and paint, and still love to mix it all up a bit. I currently reside on a couple of DT's, Tando Creative, Craft Stamper TIMI Challenge team, am Challenge Co-ordinator for IndigoBlu, and work as a freelance demonstrator on Hochanda. I'm very lucky to be able to do events and exhibitions with some fab people too! I loved the theme of 'Going Round In Circles' this month, and decided to do a mini project to share with you. I took a tiny matchbox, and used DecoArt Media products to paint and distress it. 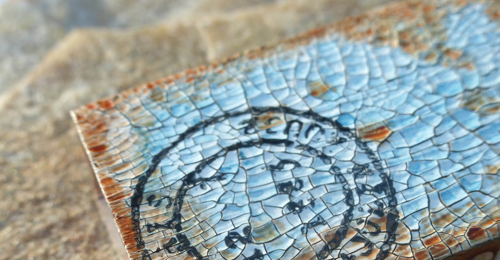 I chose circle 'stain' stamps, and a postmark to embellish it. I love all the texture going on here! 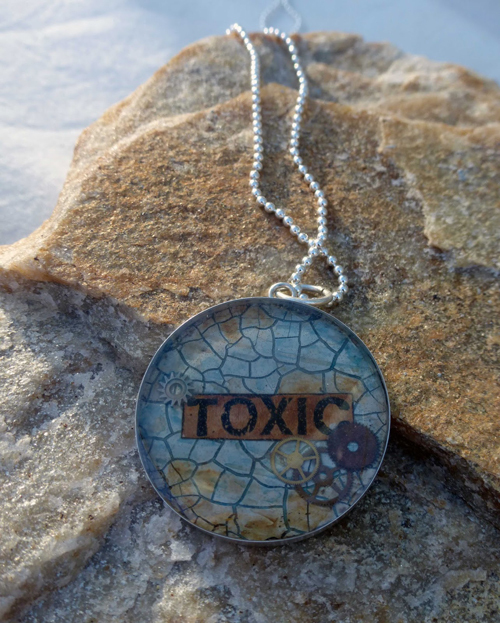 My circular bezel is sterling silver, and I've added cogs and a distressed stamped word, and used resin to complete. It's an eclectic mix of shabby and weird all at the same time! 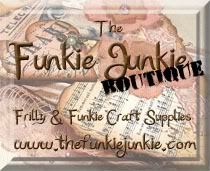 If you'd like to know more you can stop by my blog - Nikki K Crafty Ramblings, to find out how it came together. Thanks Nikki that's one very cool project for us today and I'm looking forward to popping on over to your blog to see more. We are so pleased you agreed to join us today and thank you for taking the time to create something so special for us. Well that's the last Friday post for January so where did it go? Already the year is rolling on but we will be back on Monday with another Destination Inspiration post and next Friday will see the start of a new challenge. 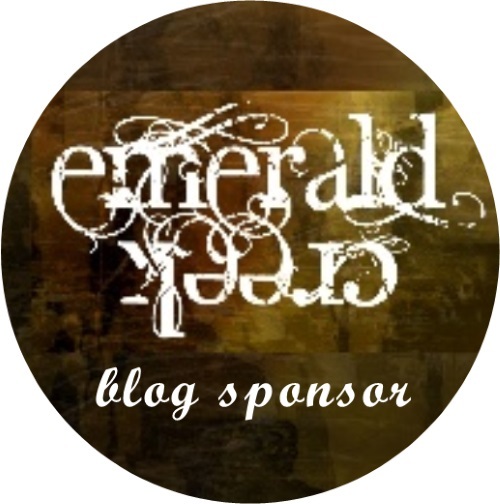 I just popped over to see how the current Circles challenge is going and there are wonderful entries to peruse and if you haven't had a chance to join in yet you have until Thursday evening to participate. Thanks for being along on the Vintage Journey. Have a great weekend. Hi Nikki . Great to have you visit us today . Fabulous Project . So much crackly texture ,rusty appeal and an ideal( for me ) colour palette . Love the grungy necklace - a real statement piece. Thanks for sharing and inspiring . 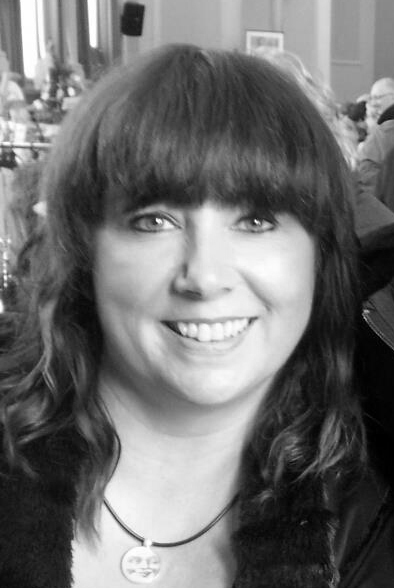 Great to see Nikki here as GDT, and what fabulous projects she's made for A Vintage Journey's Circle theme! Love those colors and the rust on these unique pieces! Well done! Nikki what a great project (or inf act two projects).... Both look super, love the crackle, texture and the colours! Thanks so much for being a guest here with such an inspiring project! 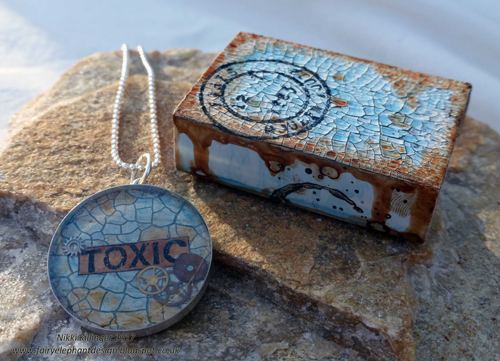 This is fabulous Nikki, love the matchbox and the necklace is fabulous too. Great to have you here at AVJ Nikki x your projects are fabulous. Love the crackle and texture......yummy!! !